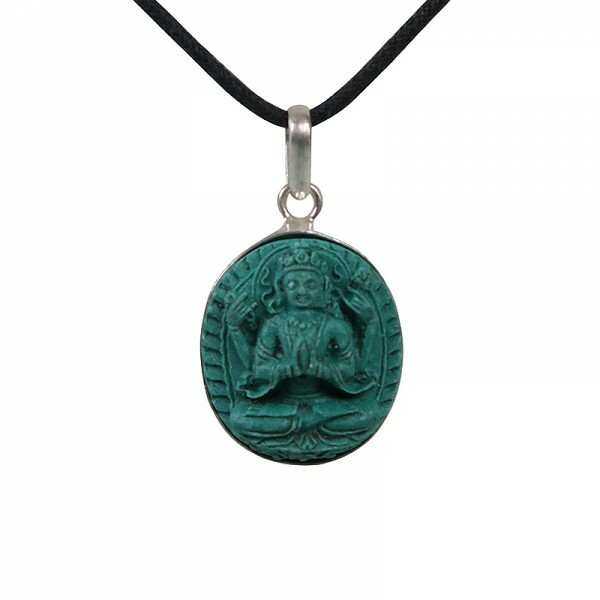 White metal framed beautiful design turquoise color resin small size Tara amulet or pendent to be supplied without string. The given weight of the pendent is calculated for the shipping purpose, so that the actual weight can be different than it is mentioned here. Since the product is entirely handmade, there can be slight variation in each final product.